Millefiori is a very old glasswork technique which produces distinctive decorative patterns on glassware. The term millefiori is a combination of the italian words "mille" (thousand) and "fiori" (flowers). 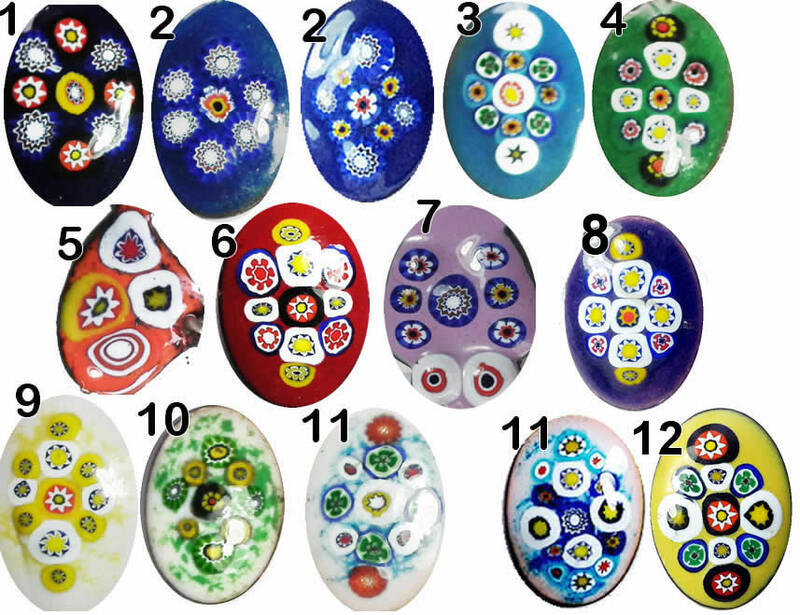 The millefiori I use are created in Murano, in Venice/Italy by Effetre. I use them on my millefiori enamels They are melted at more than 800°C with the enamel glasspowder on the copper plates. 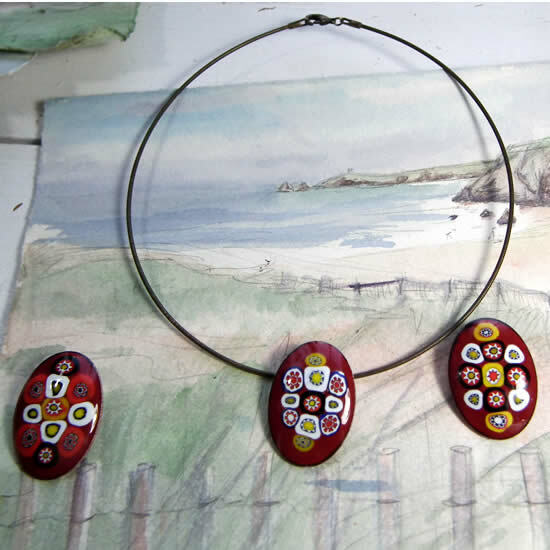 I always make new ones but although the shape is the same, they are always a little different from each other The enamel colour can be different, and there are so many different kinds of millefiori glass. So please ask me to send you the pictures of the different pieces I have of this model . Tell me which color you would prefer, If I don't have it, I'll make some and mail you pictures within a week.